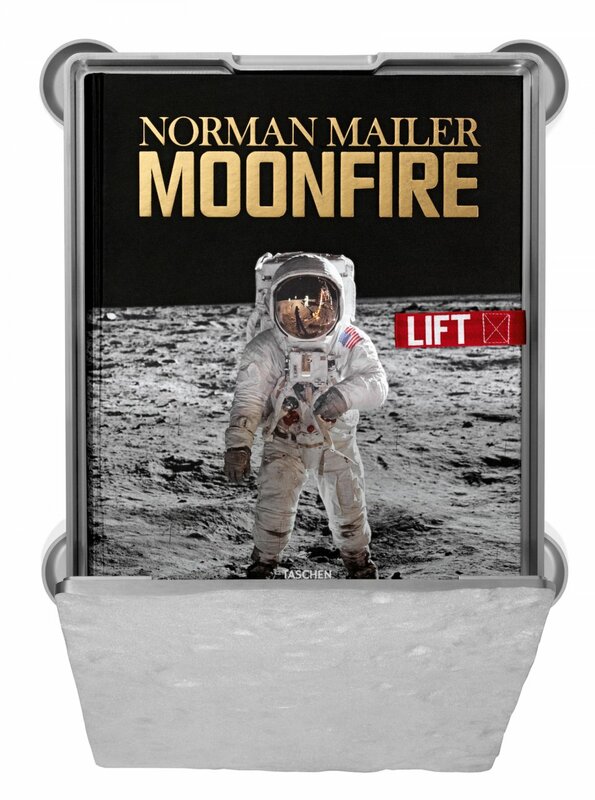 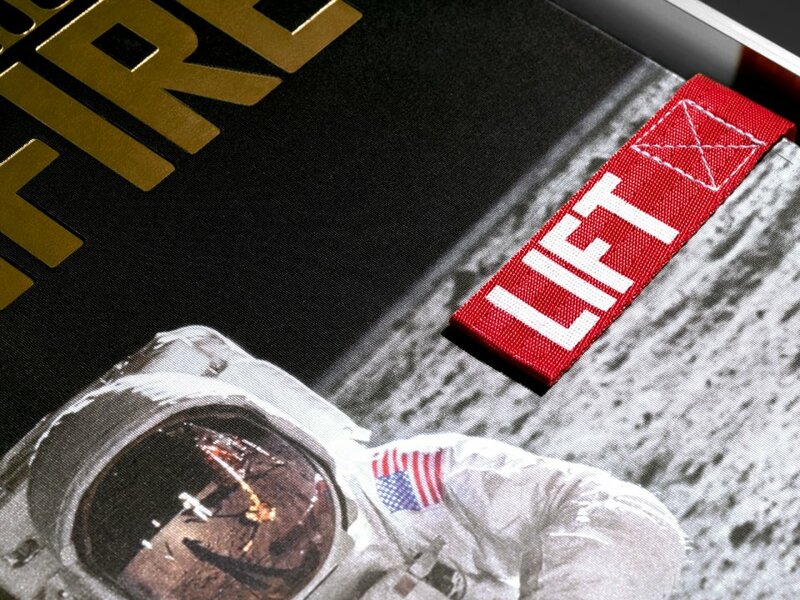 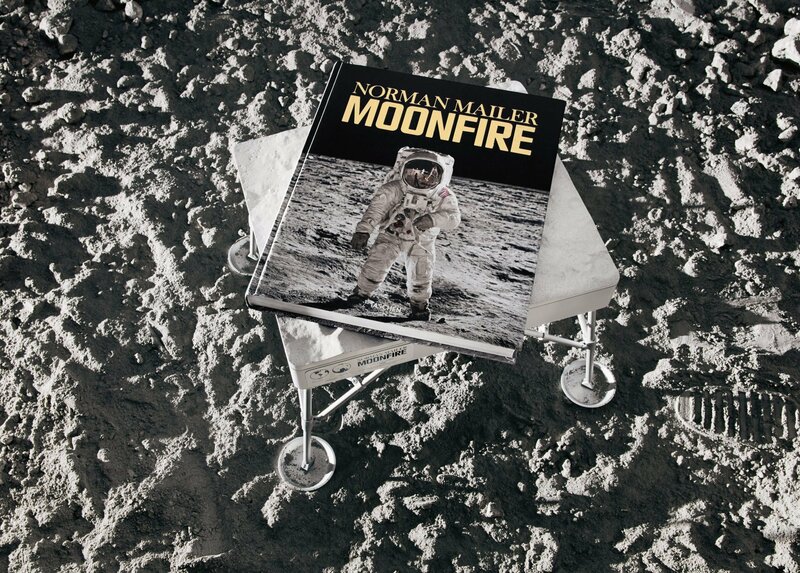 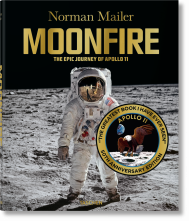 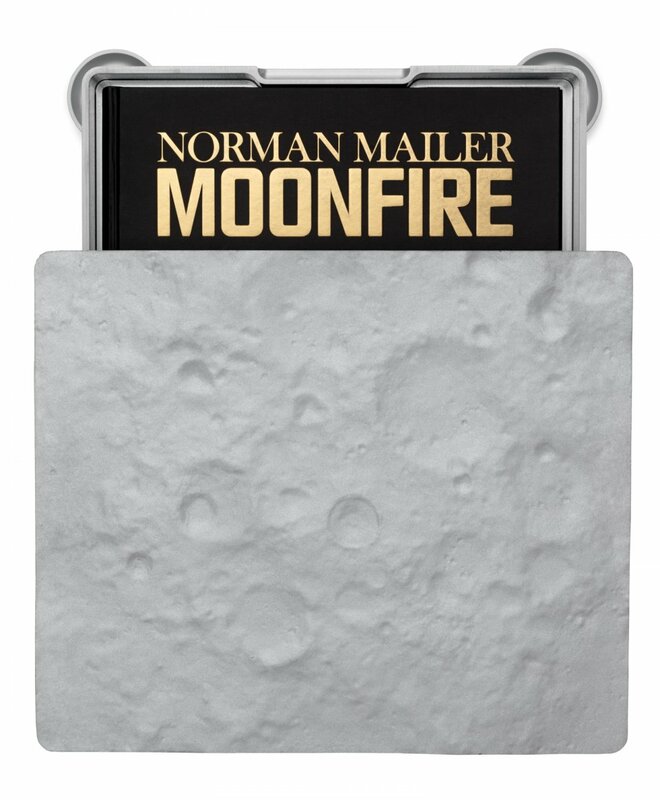 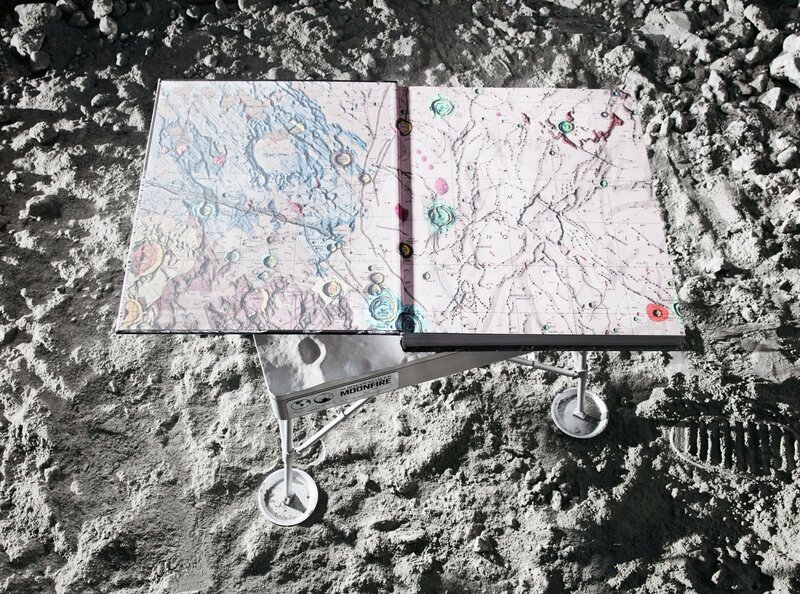 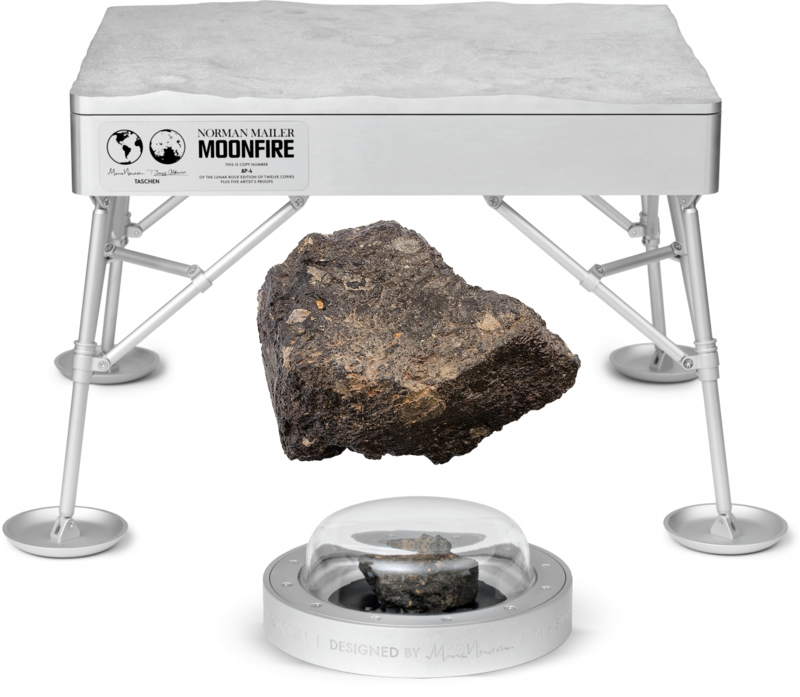 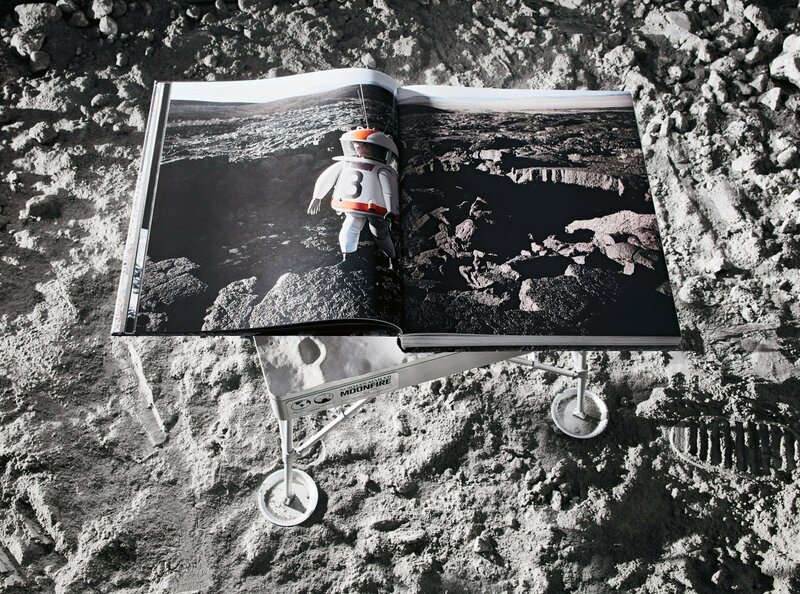 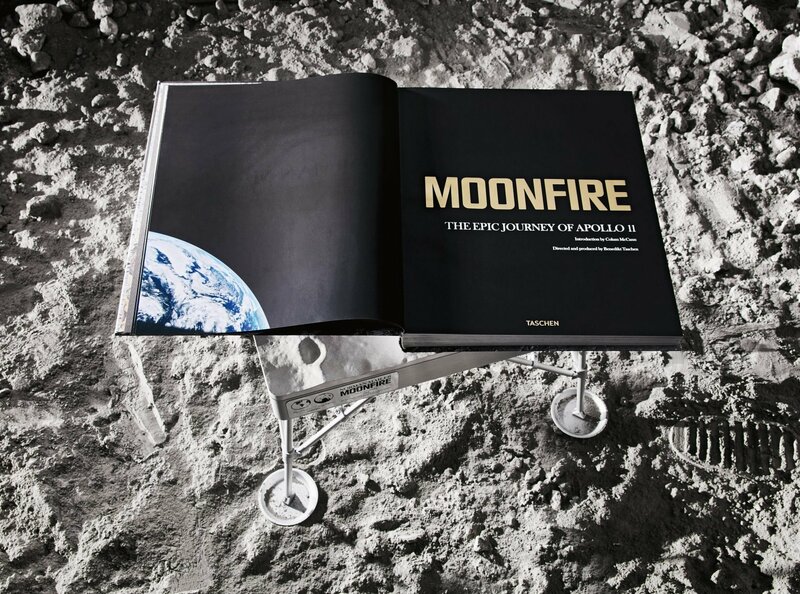 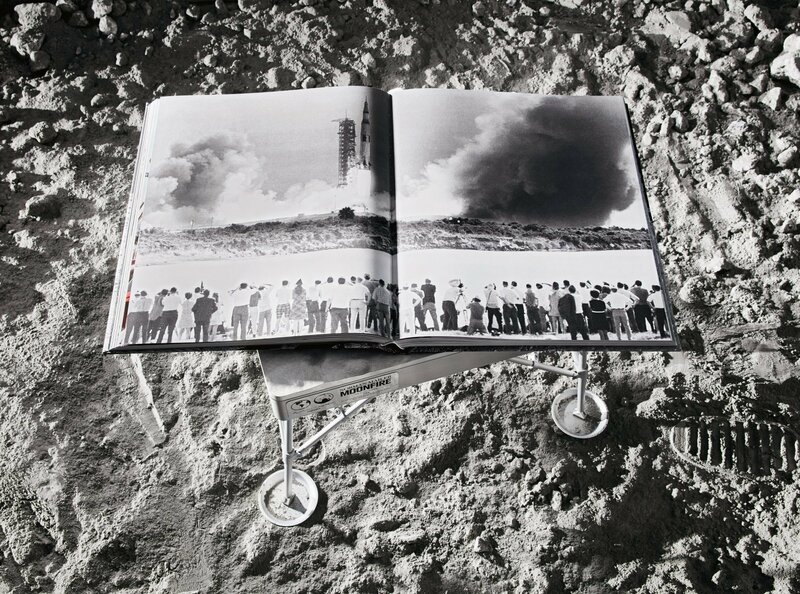 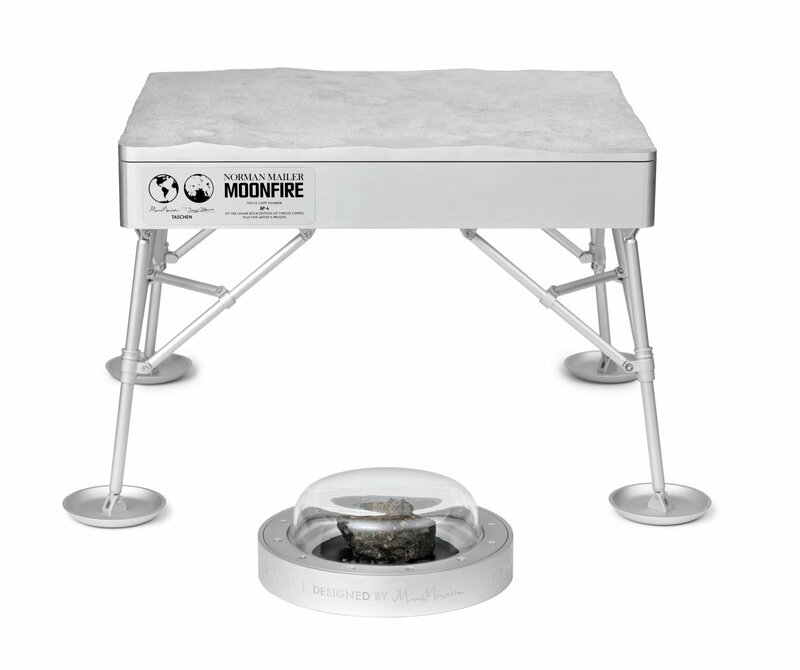 Limited to just 12 copies, one for each astronaut who walked on the Moon, the Lunar Rock Edition of Norman Mailer’s MoonFire is designed by Marc Newson. 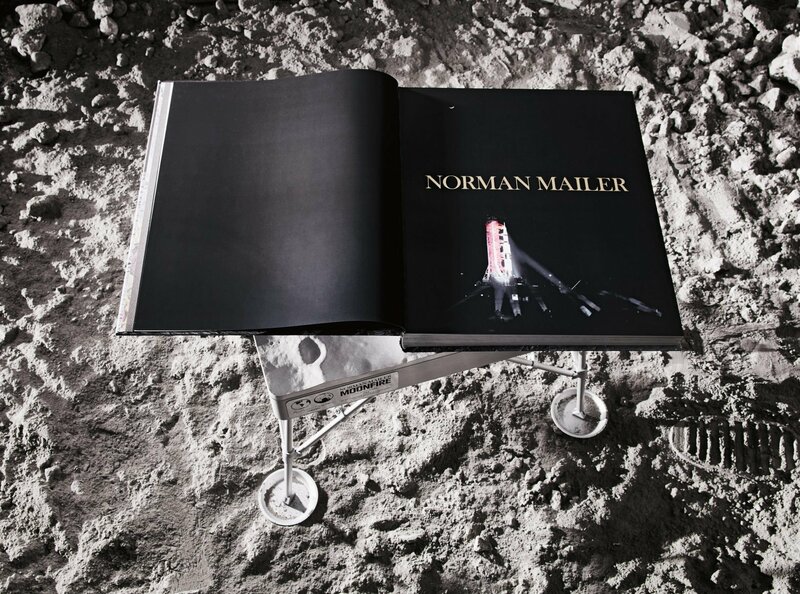 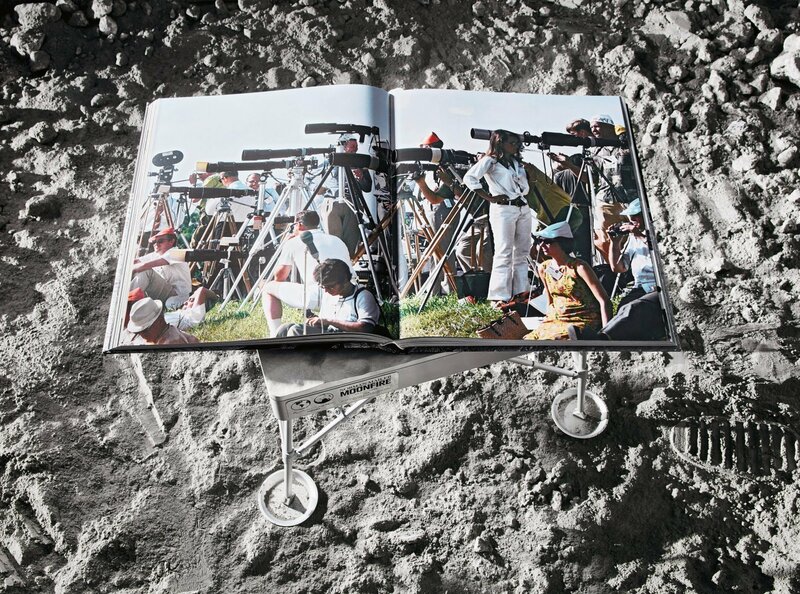 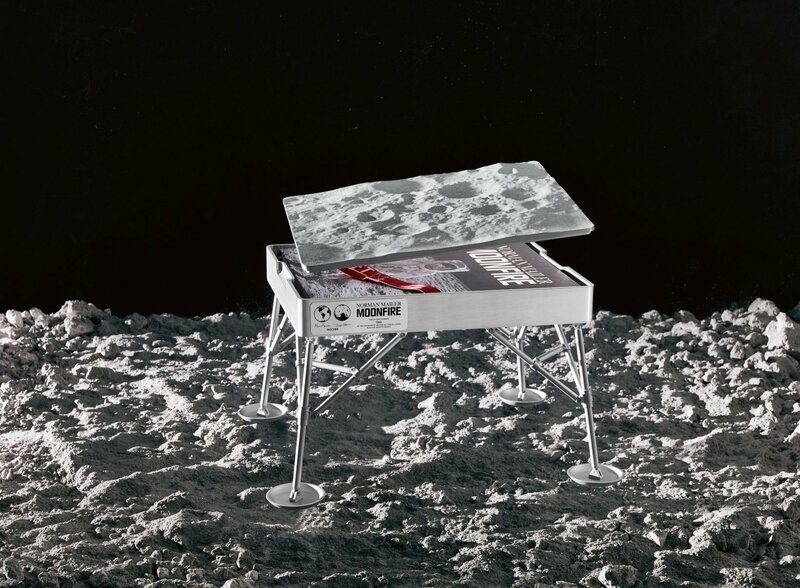 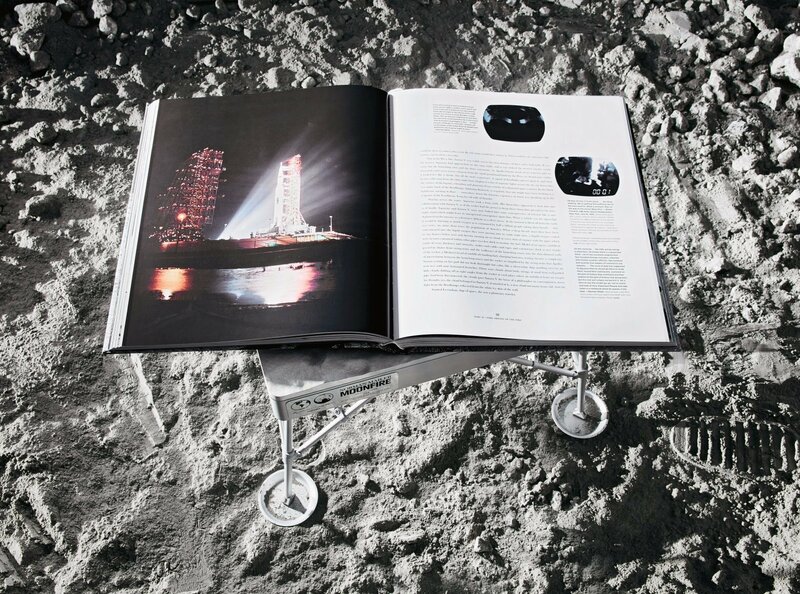 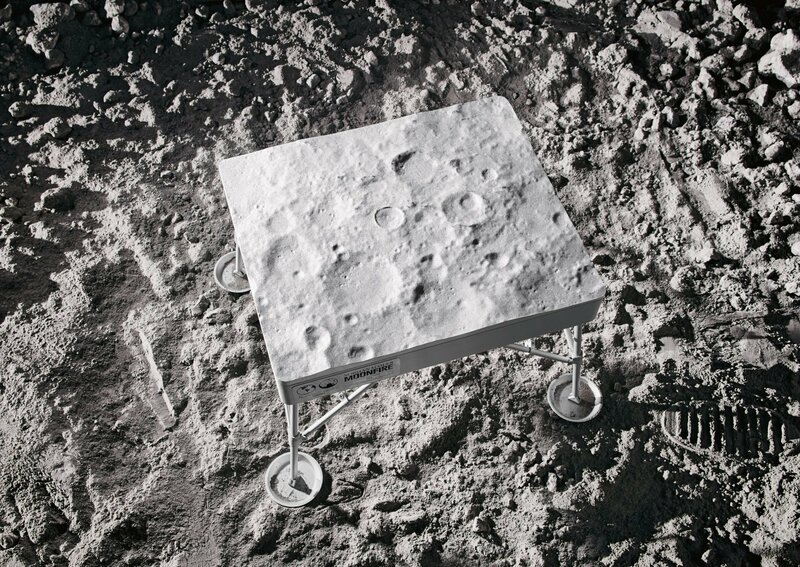 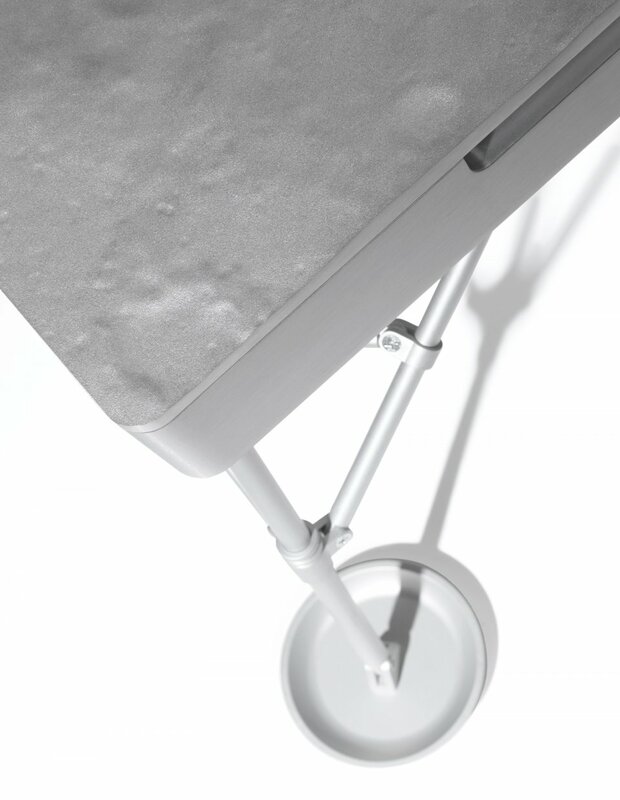 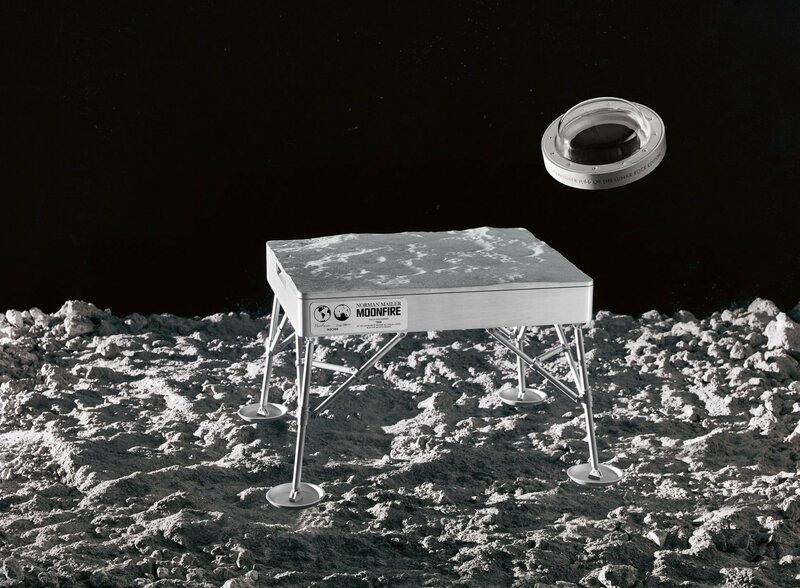 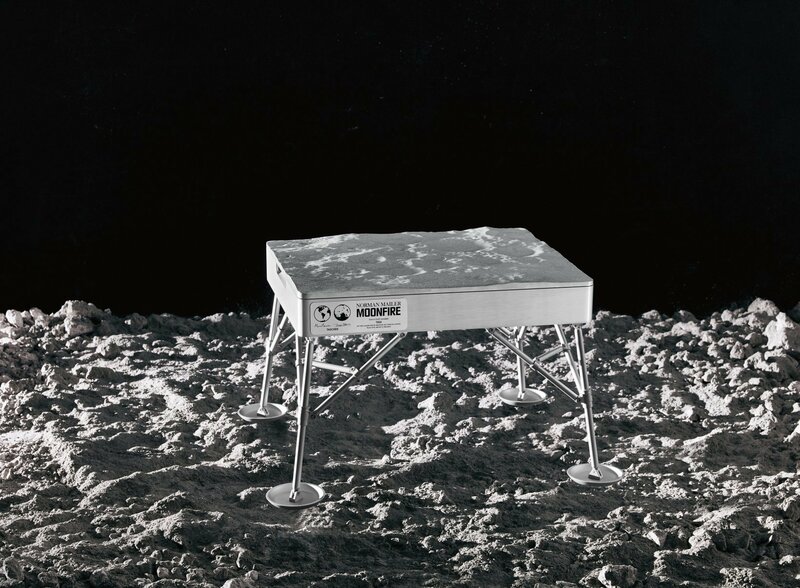 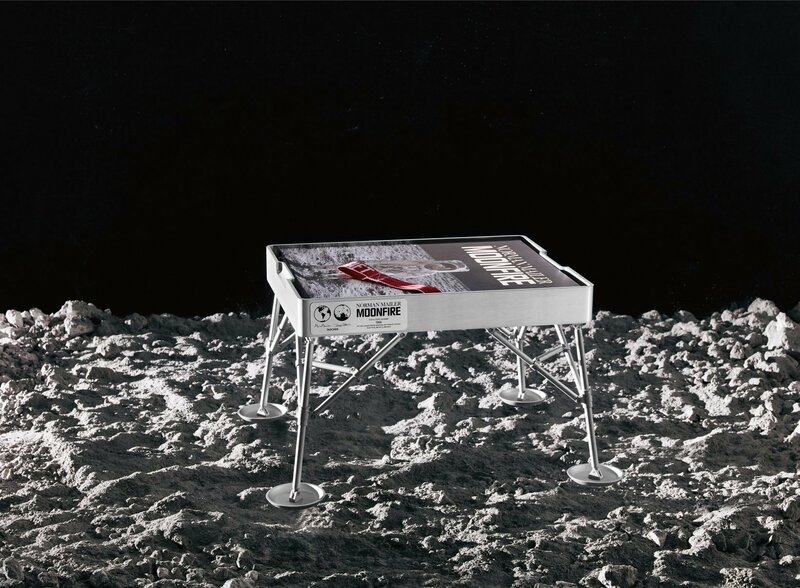 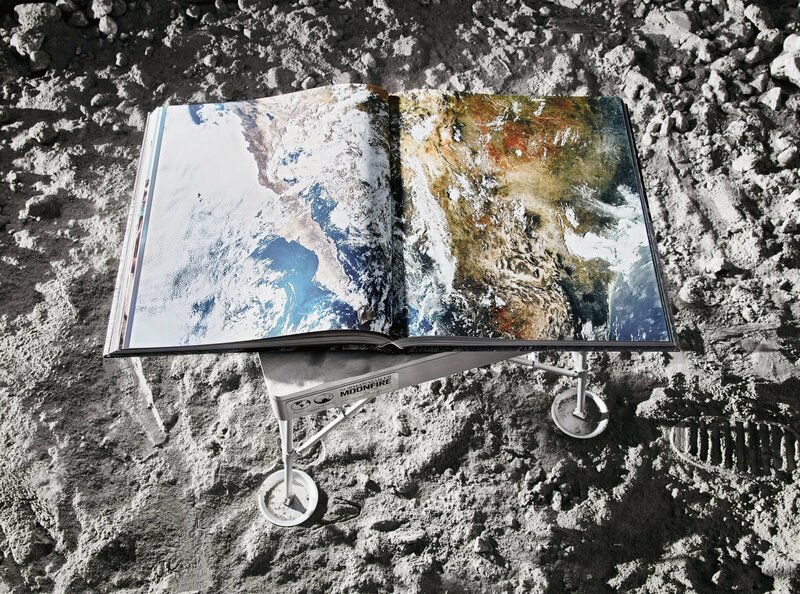 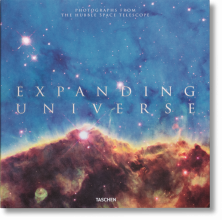 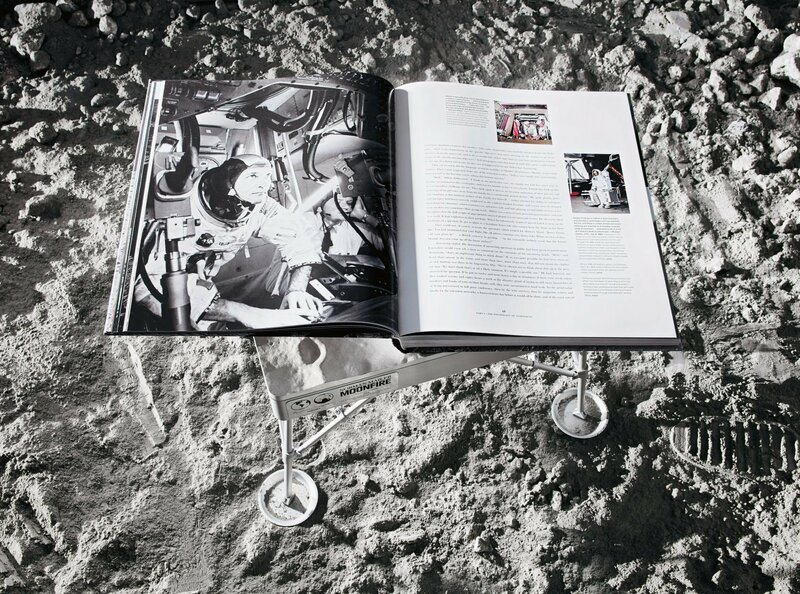 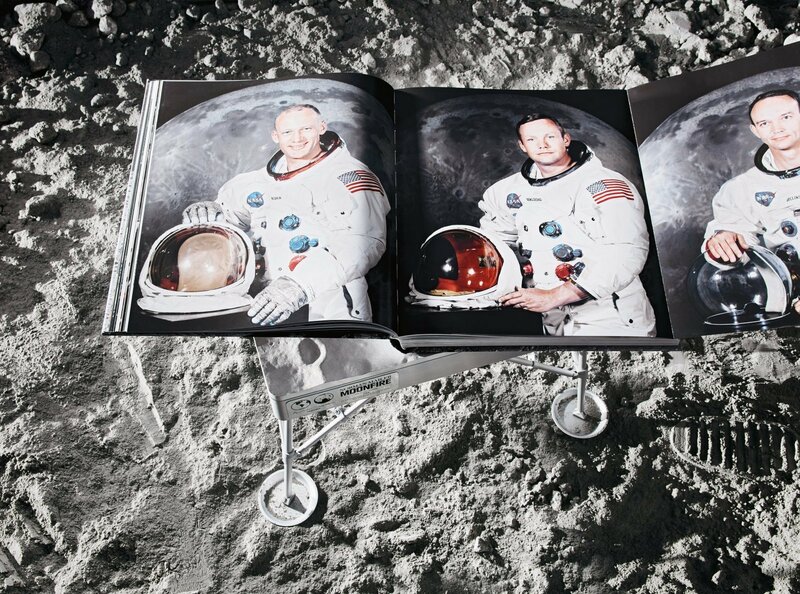 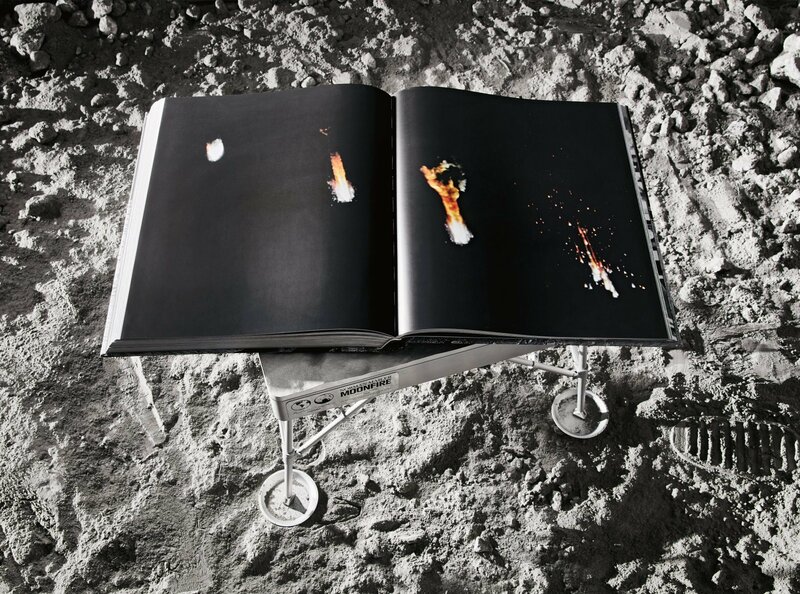 Each book is contained in a case inspired by the Apollo 11 LEM (Lunar Excursion Module)—its surface an actual 3-D topography of the Moon—and comes with a unique piece of lunar meteorite. 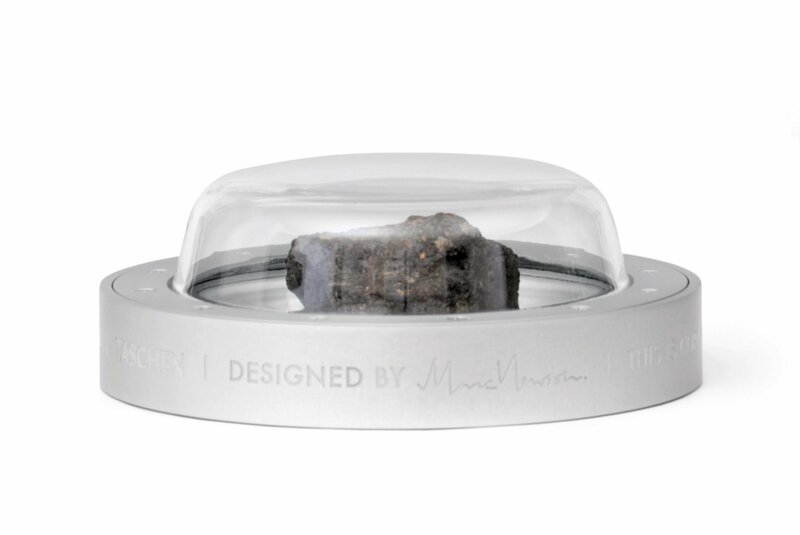 Accompanying this edition is a Lunar Feldspathic Impact-Melt Breccia stone, a piece of one of the largest meteorites ever discovered. 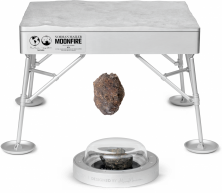 One of the largest lunar meteorites ever discovered, this is an extremely rare find, as nearly all lunar meteorites have been cut into smaller portions for sale or study. 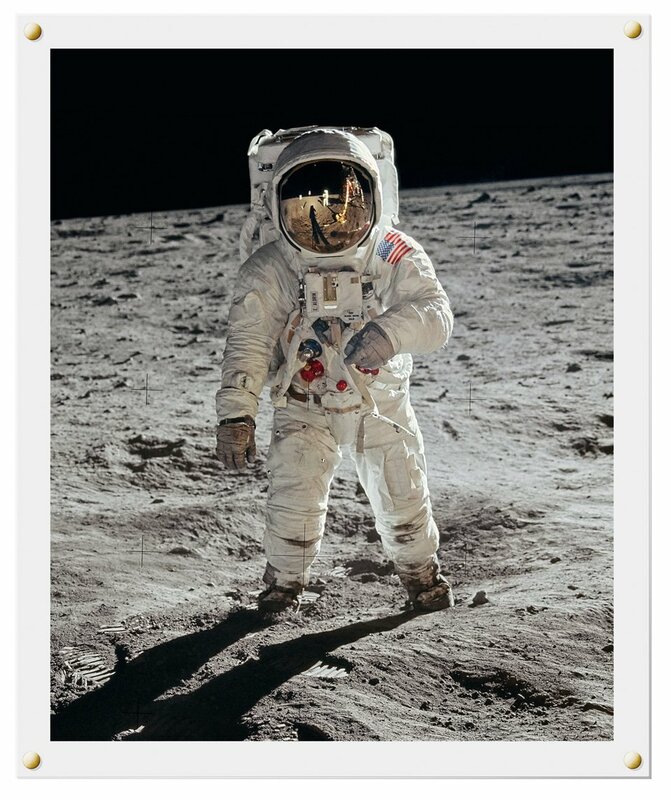 This specimen is “paired” with NWA 4936 (discovered in 2007), which means that they were found very close to each other and have all of the same characteristics, even though they were discovered at different times. 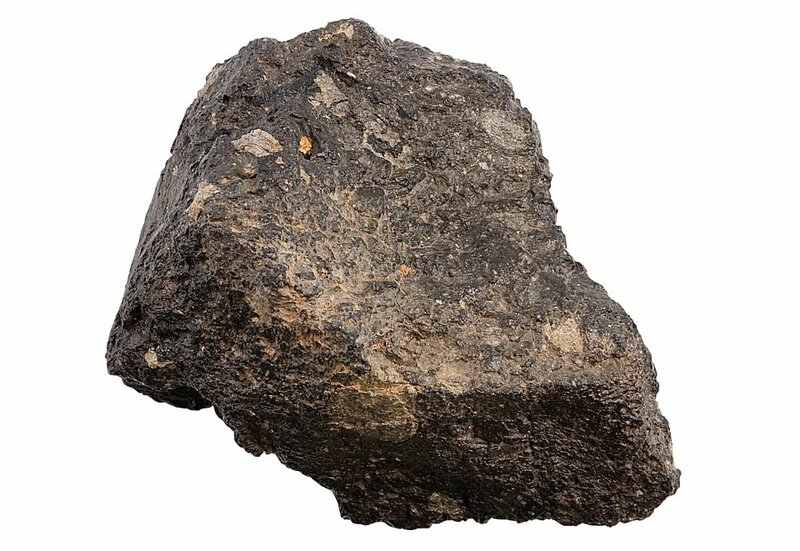 There were a total of only 4 specimens in this meteorite find. 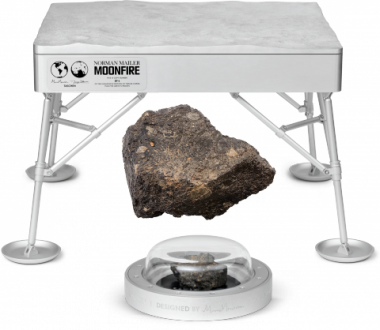 NWA 4936’s uncommonly heavy density is due to an unusually high iron content and it is the first lunar meteorite whose constituents match the regolith (soil sample) returned to Earth by the Apollo 16 mission. 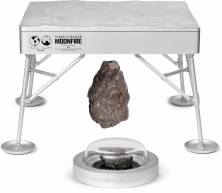 NWA 4936 contains a large amount of free iron—so much so, that it is ferromagnetic, an extremely rare attribute of lunar specimens.